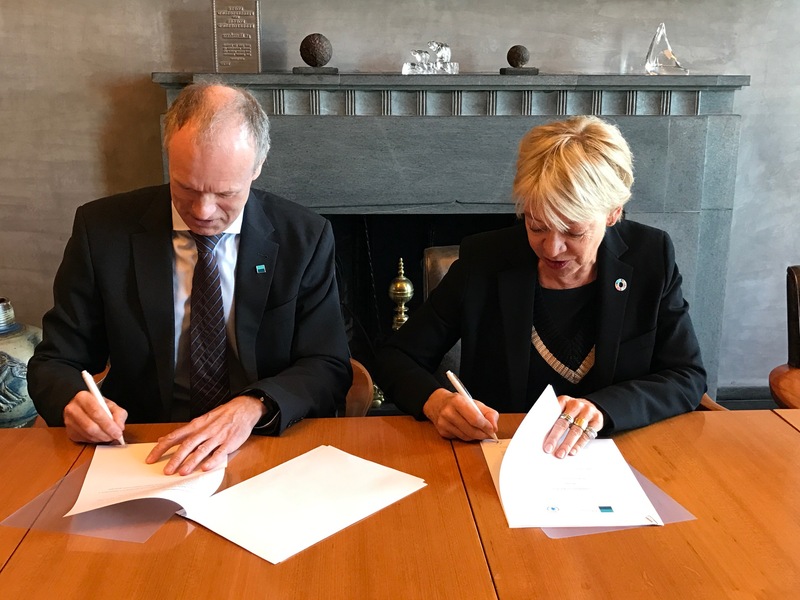 Sturla Henriksen, CEO of the Norwegian Shipowners’ Association, and Elisabeth Rasmusson, Assistant Executive Director for Partnerships, Governance and Advocacy of the United Nations World Food Programme (WFP), signed a 3-year cooperation agreement between the two organizations on May 2nd. In 2014 the two organizations signed a letter of intent with the goal of developing closer ties that will support WFP with emergency response. Norwegian Shipowners’ Association supports WFP by identifying vessels able to provide rapid assistance during an emergency. This informal collaboration has been of great value for both parties and has been triggered on numerous occasions over the last three years in emergency situations related to humanitarian relief due to conflict or natural disasters. The Norwegian fleet comprises almost 2000 vessels and is one of the most diverse in the world, operating globally at any given moment, and is therefore a unique emergency relief resource. “NSA is proud to be a WFP-partner and to be the first shipowners association in the world to formalize its commitment with WFP,” says Sturla Henriksen CEO of Norwegian Shipowners’ Association. Logistics is at the core of WFP operations. Each year, WFP distributes approximately 4 million metric tons of food, facing the challenge of reaching an average of 80 million people across some of the toughest terrain on the planet. More than half of WFP’s food is transported to its final destination by sea.